Craig joined the Army in 1987 and served in the 1st Battalion Scots for 11 years, seeing operational duty in Germany, Canada, Cyprus, Northern Ireland and the Gulf War. In 1998 Craig made the decision to leave the Army and move back home to be with his family. He spent several years working on ‘civvy street’ but was made redundant when the company he was working for moved overseas. Shortly after, Craig’s marriage also came to an end. In 2005, Craig’s mental health began to deteriorate and he disappeared, to the point he was placed on the Missing Persons register. He spent time living in a tent, but it did not occur to him that this was not ‘normal’ behaviour. Following a chance meeting with a friend who encouraged him to seek help, Craig was referred to SPACES - an organisation that helps homeless veterans. As a result, Craig was offered a place at Mike Jackson House in Aldershot (a supported accommodation residence) where he was helped by a WWTW Employment Advisor to improve his skills and find a sustainable job. 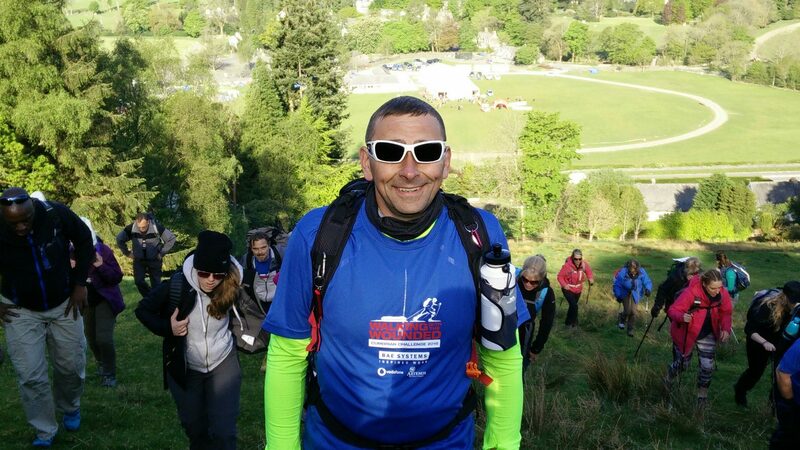 Whilst at Mike Jackson House, Craig attended an ‘Introduction to Mountain Skills Adventure Training Course’ which inspired him to seek employment opportunities that involved working outdoors - a environment he feels happy and relaxed in - and in 2016, he also joined Walking With The Wounded's annual flagship event, the Cumbrian Challenge, in the Lake District. Craig now feels more positive about his future.